Cole Hamels followed a strong outing in his last start with his best performance of the season. The scenario last week was surprisingly similar as the Phillies hitters also provided little cushion, only staking him the same 1-0 lead while he posted zeroes on the scoreboard for 8 innings. 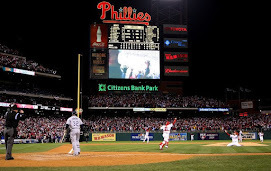 Last week, due to a high pitch count, Hamels was lifted in favor of Brad Lidge for the 9th inning. Unfortunately, Lidge, pitching on the 4th consecutive day, surrendered 3 runs, including a game ending home run by Pirate rookie Andrew McCutchen. 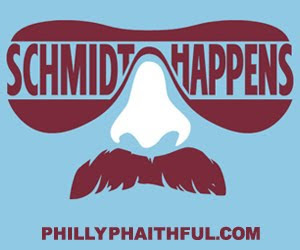 Tonight it played out differently as Hamels was allowed to finish what he started. Over the first 8 innings tonight, he dominated the Giants, allowing only a Ryan Garko ground ball double down the left field line to start the 2nd inning. After Garko's hit, Hamels proceeded to retire 21 consecutive batters heading into the ninth. Holding true to the team's form this season, he had to battle to hold onto the small lead in the 9th. Pinch hitter Rich Aurelio singled to left, but speedy pinch runner Andres Torres was picked off. After yielding his only walk of the game to Pablo Sandoval, Hamels recorded his ninth strikeout and a foul pop to end the game. All in all, Hamels recorded his second shutout of the season and extended his scoreless inning streak to 19. His last start elicited some cautious optimism, but tonight's performance makes a strong case that he has gotten his groove back. He was calm, poised and appeared in control all night long. His fastball did not quite have the velocity of his previous two starts, but his devestating change-up had hitters missing all night while he worked his 89-92 mph fastball on the edges. Facing tough left-hander Jonathan Sanchez (who you might recall tossed a no-hitter earlier this season), Phillies hitters could only scratch out one run when Ryan Howard doubled to score Shane Victorino in the 4th inning. Overall, they were held to 5 hits, but that was all they needed with Hamels greatly resembling the 2008 post season MVP version of himself.